The red-shouldered hawk’s face says it all: oh, drat, those pesky crows have found me. Within seconds there were 5 more crows loudly telling the neighborhood they had found an intruder. 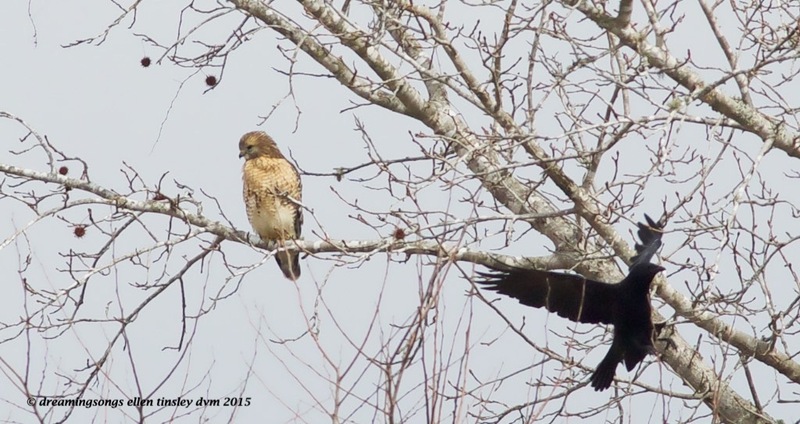 Posted in Haw River, Jordan Lake, photography, raptors, wild birds and tagged as American crow, crow, Haw River, Jordan Lake, raptor, red-shouldered hawk.